Stores across the country go beyond footwear to help build community. Photo by @cavemancollective, courtesy Go Far Run Shop. At some point, we all may dabble in minimalist footwear, marathons, or 200-milers, but there’s one thing that will always be a staple in every runner’s life: specialty running stores. Local shops are a hub for information and a gathering place for meeting new training friends. They’re owned and run by people who love the sport and everyone involved. 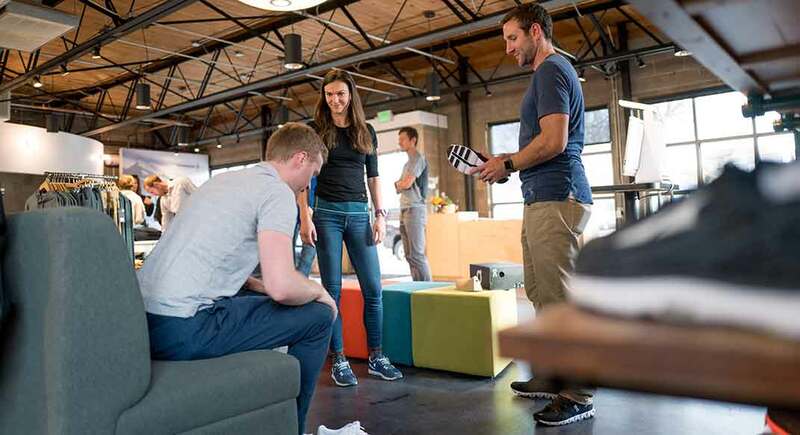 Customer service—answering an indefinite number of questions from excited new runners—and awesome footwear selections are fairly unanimous across the best stores. But many brick-and-mortars go above and beyond the retail floor to connect with their communities. These 10 running shops in North America stand out for their give-back ethos, creative curation of products and services and dedication beyond the shoes they stock. The team behind this California-based shop—friends Brett Rivers and Jorge Maravilla—organizes weekly coached track workouts for both the men’s and women’s SFRC Racing Teams. The shop is also a liaison for customized, affordable coaching ($49/month) via Ekiden. 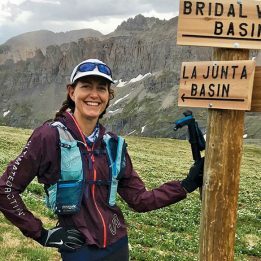 SFRC is also stoked about uniting the global trail-running community: Recently, Run the Alps gave a presentation about their guided running trips throughout Europe; and SFRC launched its first-ever international collaboration, a special-edition sock made in partnership with southwestern Germany’s Landau Running Company. Perhaps the single largest contribution that iRun owner Mark Cosmas and his wife Katie have made is the Team Taylor Arcadia Family Fun Run, an annual run that raises awareness and funds for Sudden Infant Death Syndrome (SIDS). Mark and Katie lost their daughter Taylor to SIDS in 2010, and founded the run in 2013. Since 2011—when the couple first led a collective fundraiser for the cause—their team has fundraised close to $440,000 for SIDS research and advocacy. 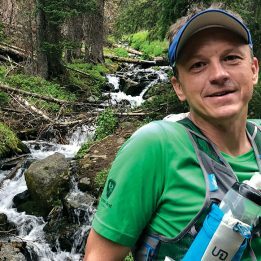 Chris Sullivan, an ultrarunner and Southwest flight attendant, recently opened this trail and ultrarunning shop next to Denver’s Berkeley Park: It’s the first MUT-specific store in Colorado. For several years, Sullivan used his work layovers as opportunities to conduct R&D at running stores around the world, from Chamonix to Ireland and South Africa. The gear and apparel is tactfully selected and only includes trail run-focused designs. It’s also a gathering space for guest speakers, celebrations and group runs, with a dog yard and eight-tap bar for serving cold brew, Kombucha and beer. Go Far, a new active-lifestyle running store in Boulder, Colorado, is home to one of the country’s 12 Fitstations, powered by HP. The machine scans a 3D image of a runner’s feet, measures width, length and arch height, and performs a gait analysis. The data informs footwear recommendations, and enables shop owners to create a custom 3D-printed insole, made by Superfeet. “Using this device removes subjectiveness from fitting shoes, and makes the process more about science and data,” says Go Far Co-founder Kate King. The shop offers a wide selection of apparel including a handful of carefully selected brands that are local, sustainable and durable, like Katherine Homes trucker hats. In a unique partnership, the store is half-full of Smartwool apparel. Sofas and a bar invite runners to hang out after store-led trail outings or events. The open floor is perfect for hosting craft vendors’ pop-up shops. Nearly a decade old, TC Running Company organizes a variety of complimentary classes and athlete-led presentations for the Twin Cities trail-running community. A single week might include a running-specific strength-training session, a group trail run (fresh donuts included) and an evening with two-time Olympian Ryan Hall and 2017 10-mile Champion Sara Hall. As all runners (eventually) learn, recovery is just as important as the miles we put into training. Three Rivers partners with a professional massage therapist for on-site appointments. The store also offers weekly yoga class and has an in-store Sports Performance program with Indiana Physical Therapy, which provides custom programs for running performance and injury prevention. Owned by Michelle and John Anderson, Crozet Running offers running clinics the second or third Saturday of each month. Clinics are completely free and open to all experience levels. Led by John or Michelle—who are each certified running-form coaches—the clinics dive into foot strength and stability, training intensity, footwear options and the principals of natural running form. To compliment the clinics, the store also offers free gait analysis to suggest improvements for a runner’s form, cadence and posture. Colonial Sports helps runners customize their apparel with screen-printing and embroidery services. An on-site graphic artist can provide one-of-a-kind artwork. The shop also provides race management services: everything from pre-race consultation to event planning, execution, certification, registration and database management—the whole enchilada. If you’re eager to start the next Barkley Marathons, reach out. Store owner Aaron Saft is well known in the running world. His selflessness and community engagement helped him earn a spotlight a Top 10 finalist for the 2016 Runner’s World cover contest. Saft organizes weekly meet-ups for runners and is hands-on as a race director, with events like Frosty Foot and Yeti or Not. 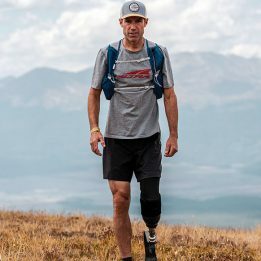 He is also the president of Run828 Foundation, a nonprofit with a mission to promote healthy, active, outdoor opportunities in western North Carolina. Within Run828, Saft introduced the NC Mountain Trail Runners club as a way to help trail runners work together as environmental stewards and to help maintain trails. He also helped to launch a monthly 5K series with a $5 entry fee; 100 percent of the proceeds go toward local charities. At some point, we all need a little extra incentive to get out for a run. At the weekly Hoodoo Goldstream Beer Run, Coach Stacy Fisk—Goldstream Sports run manager—punches runners’ discount cards. Once full, the cards provide $50 off an item at the shop. That’s a nice nudge in addition to the beer and camaraderie.